Recent photos of the ‘Friends’ star Courteney Cox, 43, shows a much thinner actress than what we’re used to see her as. Reports say that she has now dropped from a size 6 to a size 2 in recent months. It appears that Cox has been struggling lately to cope with the pressures of being a mother, wife and producing & starring in her new TV show ‘Dirt’. The new show attracted fewer viewers than expected and was put on hold a couple of months due to the writers’ strike. Even now with the strike over, the show might not resume production, which definitely contributes to the stress factor for Cox. 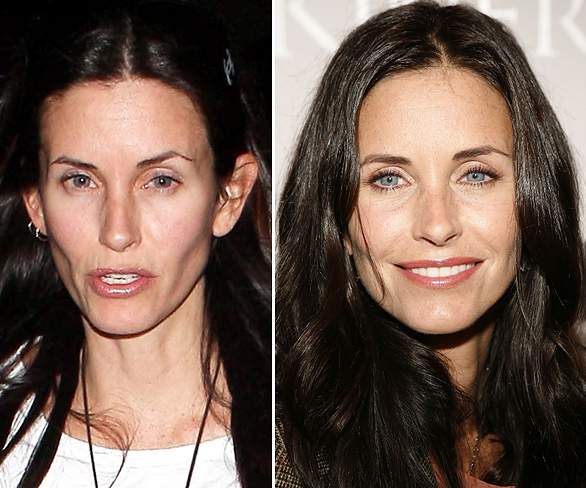 Courteney has admitted she has been too thin in the past, but has denied reports of an eating disorder. Mo'Nique Sues Landlord Because Her House Smells Like A Dog! Wow…poor Monica…that recent photo of you is not so flattering…plz get well soon.